Manchester United are reportedly in a strong position to re-sign Wilfried Zaha from Crystal Palace if they want to. According to the Sun, the Red Devils get a 25 per cent profit of anything Palace sell Zaha for next. The Ivory Coast international was a flop at United in his first spell, but has since become one of the most exciting attacking talents in the Premier League. It is surely only a matter of time before Palace lose Zaha to a bigger club, and while it remains to be seen if United would be interested in re-signing him, the option is clearly there for them to get him for a reduced fee due to this clause. The 26-year-old winger would surely be an upgrade on Alexis Sanchez, so MUFC could do well to try their luck with a move for their former player this summer. 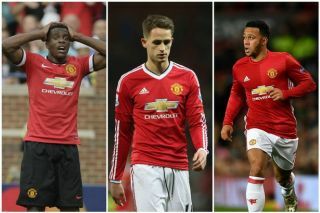 If not, another former United flop doing rather well since leaving the club is Memphis Depay at Lyon, though it might be that the club will choose move on from these players.